Established in 1973, the Broadcasting Organisations of Nigeria is today comprised of over 100 members and they collectively own over 250 radio and television stations. 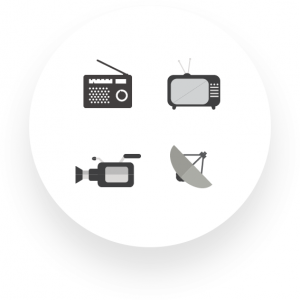 BON’s vision is to foster a future-proof environment for radio, TV and new media broadcasters to serve their audiences and contribute to the development of our society. Access top notch documentations, papers and releases from big industry players. Extensive knowledge exchange & capacity building initiative specifically for the broadcasting. NBC’s Statement On Status Of Digital Broadcasting Switchover in Nigeria. UK Regulator Evaluates The Role Public Service Broadcasting (PBS) In The Interent Age. BBC Offers Live English Premier League Coverage In Africa. From Saturday 8 August 2015, football fans across Africa can follow the exciting live action of the new season of the Barclays Premier League in four languages.